ESP, telepathy, thought reading: If there is such a thing, wouldn’t you want to see for yourself? 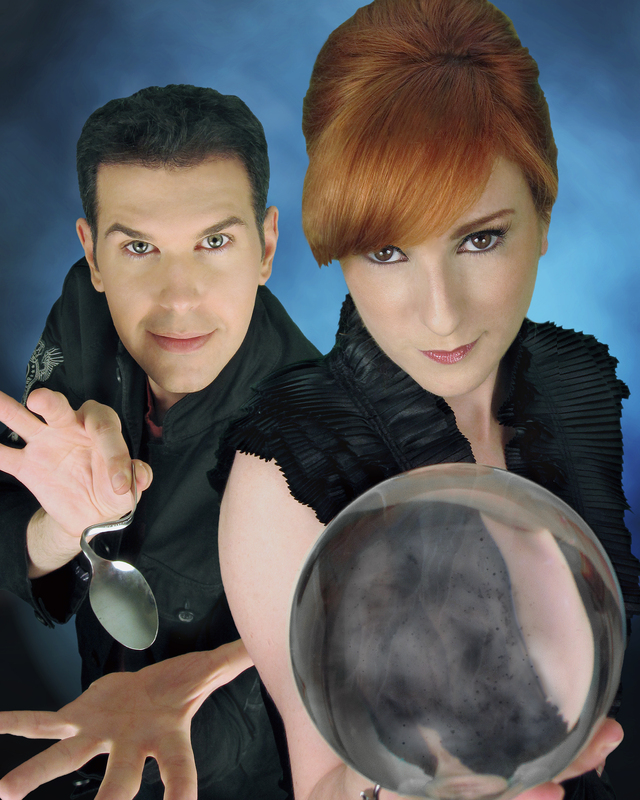 For over a decade, Husband and wife Mentalist team Larry & Raven have fascinated audiences worldwide with a unique blend of illusion and ESP. Their specialty is a mind boggling two person telepathy act. Today, there are only a few couples who have developed this rare skill. They are part of a lineage that spans more than 150 years. Now, this young dynamic couple bring ancient arts to the 21st century with an amazing strength and freshness. Mystifying, highly entertaining, and outstanding in their field, they have a powerful impact on sophisticated audiences everywhere – A-list private parties, on cruise ships, hotels, and at corporate entertainment events across the United States. As Carolyn Baragona , of “Event Solutions” magazine, pointed out “Larry and Raven will give an audience something it has never seen before… Guaranteed.” They never fail to bring the house down with each show. "Larry and Raven were great! Can’t wait to have them back again next year!" "Such an easy pair to work with! Very professional, friendly, and low maintenance." "Larry and Raven were great, everyone loved them!" "People were either engaged in disbelief or skeptics trying to wrap their mind around how they did it all. Larry and Raven were very easy to work with and I would highly recommend them."